There is a new design trend this year and it’s becoming very popular – distressed rugs. But, these aren’t your grandmothers area rugs, they are a new twist on an old classic. I personally have became obsessed with them, even though I don’t see a place for one in our home. Like always, Target has caught onto the design trend and has many, many options to choose from. What do you think? Do you like the new design trend? Rugs are a great way to add texture and coziness to any space. I’ve been shopping around trying to find a new one for our living room, but haven’t found one I love yet. Luckily, Target always has amazing deals on their home decor! 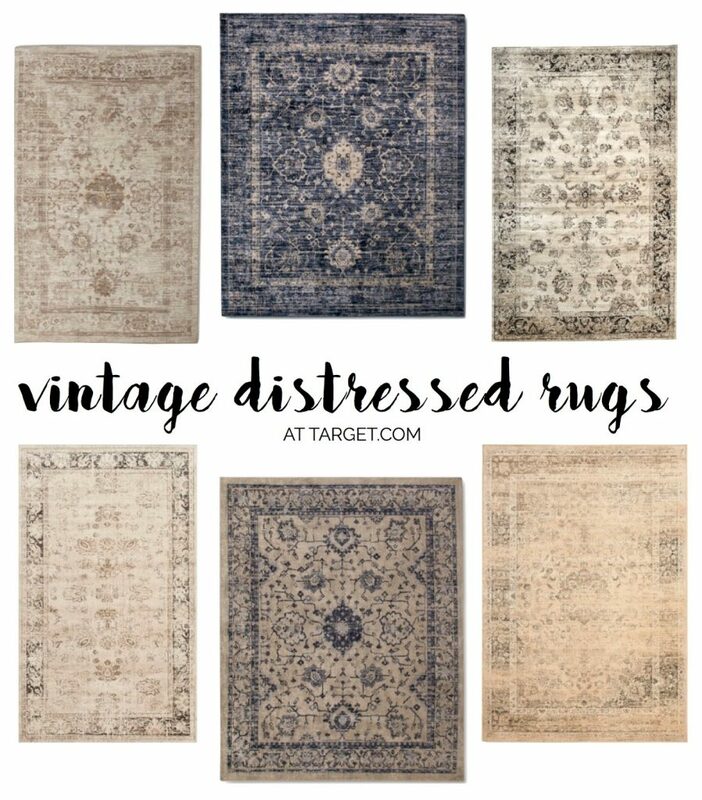 I just love your Target Thursday posts… and these rugs! Thanks for sharing!